Thank you for taking the time to notice and follow Shadows of Love. Bless you! I enjoyed my trip through your blog, hence the follow. You’re welcome. I love looking through other people’s posts. You readers know they can order a paperback copy if you published via Kindle direct thru the print to order option? Or is that not something you enabled? Are you talking about Createspace? I haven’t used this facility yet, but I plan to use it as soon as I’ve wheedled out every grammatical error in my eBook. Ya I think that’s what it is. I have a friend who works at amazon he was telling me about it. I hope Createspace is as simple to use as you implied, otherwise it’s yet another learning curve for me, ha ha. Thank you for visiting my site. I wish you well with Tissue of Lies. Interesting cover. Thank you for commenting Maria. I enjoyed my trip to your site and will watch out for your posts. The cover was from a painting I did. I added the house with a little tweaking. And welcome to my hospice volunteering blog! Sounds like we have lots in common! We do share some commmon interests Katherine. It’s great to meet you and peruse your blog. Thank you for your comment. I enjoy seeing the blogs of other authors; we are a very diverse group. Hope you’re having a great day. Hello Pat, thank you for your interest in my book, and for flagging a problem with sales. I had to re-publish with Amazon, and now it won’t be available for 48 hours. I do apologise for this. However, it’s not all bad news. Next week, I hope to promote my book by offering it on a price reduction. Instead of $3.45 it will be $1.62. I hope you’re not too disappointed, and will take advantage of the offer while it’s on. Thank you Pat. I hope you read my recent post about my book, and will take this, and the reduced price into account, when you write your review. Now I’m scared! Another professional editor reading my book. Oh my! You seem a lovely lady Pat, warm hearted and kind. Thank you for showing you’ll not be looking too closely at my punctuation. I’m now relaxed. Hugs to you too. Hi Carole, Thanks so much for visiting (and following) African Living. One of our young writers is a poet and a writer. I look forward to sharing your blog with her, and to reading more! Carole, I enjoyed my journey through your blog. Congratulations on your wide array of accomplishments! Thank you for your kind comment Pam. I’m, pleased you enjoyed your tour of my world. I’m just about to take a trip to see your blog. Don’t worry yet about the quality of your work. Our writing is only as good as our knowledge, and improves as we learn. I look at my writing now, and with the knowledge gained from other bloggers, see so many errors. In a years time, having gained more knowledge, I will look on my current posts and cringe. Hi there, Carole; thanks for following my small blog. All the best with your writing; looks like you’re quite prolific. You have an interesting blog. I love your poems; the one about abortion brought tears to my eyes. Well done! Thanks so much, Carole. Yes, I love writing poetry, even though my poems are really bad. I did a creative writing course once, and did not do so well on the poetry front. The lecturer said I was too obvious in my expression and too stiff. I’m glad the one about Abortion touched you. I wish more people were moved on that front. Thanks for reading it. I really liked your poems, I don’t think they were bad at all. Write what is in your heart, as you have, and no one should judge your writing. Thanks so much, Carole. I will keep writing from the heart then! Thanks for following, it’s a privilege. A Tissue of Lies. Yes, Many years ago I was reading a neuroscience paper about the way we all lie constantly. We mix dreams, fiction, myth and fact to make our own tissue of lies, we call it reality. I adore writing about the Ice Dragon power and Henry Barton-Jones the new Ice Dragon Master and I do exactly the same thing in a his world, it is a mixture of mythm, fiction and fact. i just hope people have the same pleasure reading the stories as I do writing them. Sometimes I cannot see what I am writing for the emotional tears. Do you do that? I had an intuitive notion to put a post about my thriller Tango Dragon and the Asteroid found at http://www.tangodragon.com on the neurofaultprotection weblog because it related to the subject of thinking in a different way. Now so much interest, I feel I have to place each days Tango Dragon post on this site. Normally viewers go to that site are limited to professional managers and the like, which is all about neuroscience, high performance without the stress, and the power of the unconscious brain/mind and how to access it. I have been amazed by the numbers who have contacted me about Tango Dragon on my email but also those who have started to follow neurofaultprotection because of the Ice Dragon posts. Incedently you can find all my posts on the Ice Dragon at http://www.tangodragon.com on the blog page. Just keep on pressing – previous -. and my Healing Experience, then the next three thrillers in the Ice Dragon series. The Ice Dragon Rising, The Reluctant Hero, and the latest in preparation for the press, Ultimate Suspicion. And now you are following me that is just fantastic. Looks like you’ve written an amazing series with the Ice Dragon. Keep writing. I’m certainly shedding more tears writing my second book, than I did with the first. It’s more emotional because it involves an abandoned baby. Have a great week. How are you liking the Crimson Earth series on Wallryder.com? We’re trying to get some feedback from viewers and readers, namely followers. Perhaps you have read it? If not, that is alright. Tell your friends about Wallryder.com and publishing their talents! What I’ve seen of the Crimson Earth series is great, but so far I could only see two chapters (four and five, I think). They are well written. My only concern would be that I haven’t yet seen any dialogue. Indeed. The only dialogue so far has been between nord, web, and the partisans. There are only five chapters out as of today. Tune in on Tuesday for the sixth. Thanks for the input! Dear Carole, I read Tissue a while ago, and I’d like to send you some feedback. Can you email me please? I enjoyed reading your thoughts on genealogy and ancestry. Blood lines can indeed be complicated. I look forward to revisiting your blog. Thanks for the follow on Sundry Folly! Photography and writing are good companions. I look forward to your blogs in my Reader. Thank you! Have you decided on your endings yet? Thank you ever so much for following my blog! I look forward to reading more of yours! I do hope you like my chapters of my first novel! Have a wonderful day! I loved your message, and I do agree. Women should be helping each other rather than knocking each other down. I love the ide of sister-hood. Probably because I’ve never had any female siblings. I have two female siblings, I strongly believe in helping each other! I am so glad you agree! Hopefully, one day we will achieve this! Have a great day! Thanks for stopping by and following my blog. I feel honored. Hope I won’t disappoint you. I enjoyed looking at your “Odd Ball Challenge” and your decorated goose. You have an interesting blog I’m delighted to follow. Hello Carole! Wonderful hearing from you and thanks so much for following my blog. As you may know, my blog covers several topics, as I don’t see myself straitjacketed into one area of interest. I go after your own heart! 🙂 You have a great one here. Let’s stay connected. It’s a pleasure to follow your blog. By the way, congratulations on being awarded for the Leibster Award. Good Morning Carole, thank you so much for following my blog and I have also followed yours. It’s great when we writers can help each other. Have a blessed day. Thank you for commenting and for following. Yes, we must always help each other where we can. Look out for the list of authors, artists and poets I always promote by adding to my posts. Thanks so much for following my blog, Carole! I’m now following you and look forward to learning more about you and your writing. Thank you for following me too. I enjoyed your blog and will watch out for your posts. Thank YOU for following. I enjoyed my walk through your blog too. Isn’t it wonderful how we are able to stretch ourselves, try new things in our mature years? I don’t think it’s about more time- not in my case anyway, it’s more about confidence and well, realizing that time is definitely finite. Hope you’re enjoying everything you do- writing, painting, crafts…so much! Well done. And thank you for following katesclippings. I shall continue to read yours. Thank you for that interesting comment, and I am enjoying my hobbies enormously. My lovely granddaughter, aged 11, is also doing cross-stitch now. She’s all OOHs and AAH’s walking through craft shops. She definitely takes after me. It’s lovely to see that you’re stretching yourself too. Confidence, as you say, is the key, plus not worrying what people think if you get things wrong. Thank you so much for following my blog, Carole! Thank you for the follow. I look forward to checking more of your blog out. I have another blog besides Welcome to JennTerra on word press. Its called To Write Is Right! And it is solely devoted at this time to my debut novelette, The Orchid Keeper. Its always nice to meet other authors. Your book sounds intriguing. I must read it! It’s my pleasure to follow you. Congratulations on your new novelette; I wish you success with it. Dear Carole, thank you for the follow. Your About page is an inspiration to me as I have often started and abandoned pieces of work midway for so many reasons: life, kids, work… Reading your brief introduction makes me realise the best thing about writing is you can get back to it the day you decide to do so. Makes me want to recommit to my blog and writing habits with greater commitment. Look forward to visiting again soon, and to being inspired. Thank you for sharing. Thank you for that really lovely comment. I’m lucky that I’m now fairly free to do the things I want, rather than the chores I have to get done at a certain time. Although my hubby is retired too, and with me 24/7, he’s a fairly placid man. He just leaves me to do whatever I want basically. Life is tougher with little ones, but hang on in there, your time will come. I wrote my novel when my children started school. By getting the housework done early morning, I was able to keep a few hours each day just for me. Determination will see you through. Thank you for your follow on my blog as well. For now, I don’t make any drastic promises, but I will likely do more actual writing (blogging, novel work) without youtube to distract me! I will admit that I have a whole new appreciation for what DRUG ADDICTS have to deal with! One day off that stupid site and I already want it back, even while I acknowledge it did nothing for me, except entertain me for a few hours. But it soaked up time like a sponge and left me tired the next day. I’ll hopefully cover that in my next post. In the meantime, congrats on your book! 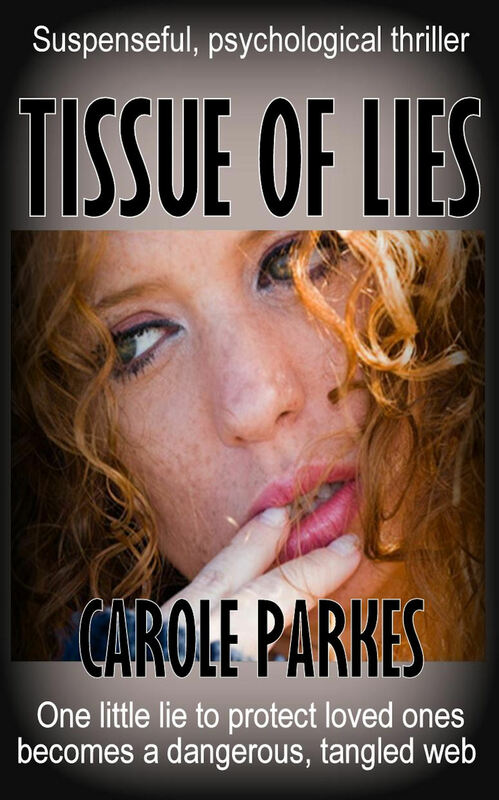 I’m looking for some new readings and “Tissue of Lies” sounds like a very promising tale of a day of engrossed page-turning. I have an Amazon page for my Kindle, so I’m gonna check out your novel! Again, though, NO PROMISES for anything major, or even organized, the first week. But I will try to post at LEAST once a week, if not more. Hmmmm…. my most likely day seems FRIDAY, but I’m not going to hold myself to that, since, well…. stuff happens …. I think I figured it out. I’ll start a blogging notebook (actual paper and pens) and write down the stuff I want to cover for a specific week and then type up the posts on Friday! 🙂 Problem solved! I wish you luck with the blogging schedule. These social media sites are definitely time consumers. Reading other peoples blogs, it seems you have to set time limits on them, but I also find that hard to do. I’ll be watching out for your posts, but no worries if you can’t find time to write them regularly. By the way, I’d be delighted if you read my book. Thank you, Carole, for your words of encouragement. It is with support from expert bloggers like you that i am constantly inspired to keep writing. And you are right: it is determination to create something that will see me through. Thanks again, for this lovely blog, and your kind support. I’m pleased I could help. Have fun with your blog. Congratulations on your first novel! Thank you also for your follow Carole! Thank you for joining in; your participation is highly valued. I’m following and look forword to reading your posts. I had read some of your work but this is my introduction to you, the person! Nice to meet you, Carole!! Thanks for dropping by and liking my home page Carole. It was my pleasure Laurie. Well you are busy lady and I will need to return to spend a while checking out your various talents. Meanwhile I just wanted to thank you for taking the time out to visit and follow my own blog. I am really pleased it was if interest? Sorry I’m late with this reply; I somehow missed it. I hope you enjoyed your look around my site and thank you for taking an interest. I’m looking out for for your posts. Thank you so much my friend. I shall of course reciprocate your kind gesture! Hi Carole! It seems we have a bit in common. I’ve dabbled with painting and needlepoint, although writing has always been what I enjoy most. I love your paintings by the way and Tissue of Lies sounds interesting. It’s lovely to meet you Dena. I’ve just had a quick look at your site and lked what I saw. I’ll be back later for a proper look; as you say, we do share some interests. You have a very lively site. I like that you’ve incorporated so many different things–art, needlework, short stories, poetry. Thanks for recently following my blog. Hope you enjoy it. Looking forward to reading more here. Thank you for the lovely comment about my site. Now you see why my husband calls me a butterfly; I’m forever flitting from one interest to another. However, I always finish a project before moving on, ha ha. I found your site interesting too and will definitely visit again soon. Have fun every day. Oh, I just saw the notification that you’re following me too! Thank you! Hi, Carole! I found you because you “liked” my post “Cookie Monster robbed a store this morning!” on http://www.crimewriterblog.com I was so touched by your “Anniversary of the day we met 51 yrs. ago” post, I just had to write to you. In turn, looking through your blog made me want to follow. You’re a talented person, Carole, and your stories/posts are fun and interesting. Great website/blog! Thank you Eva. I’m pleased you noticed that; I think you must be the first, ha ha. That thought is also sent to you. You have worked hard so far and I’m sure you have the energy (and knowledge) to continue until no more can be done. Good luck with your submissions. Carole, I appreciate the like on my poem “We Will Tell You”. Congratulation on your novel. It sounds smashing. 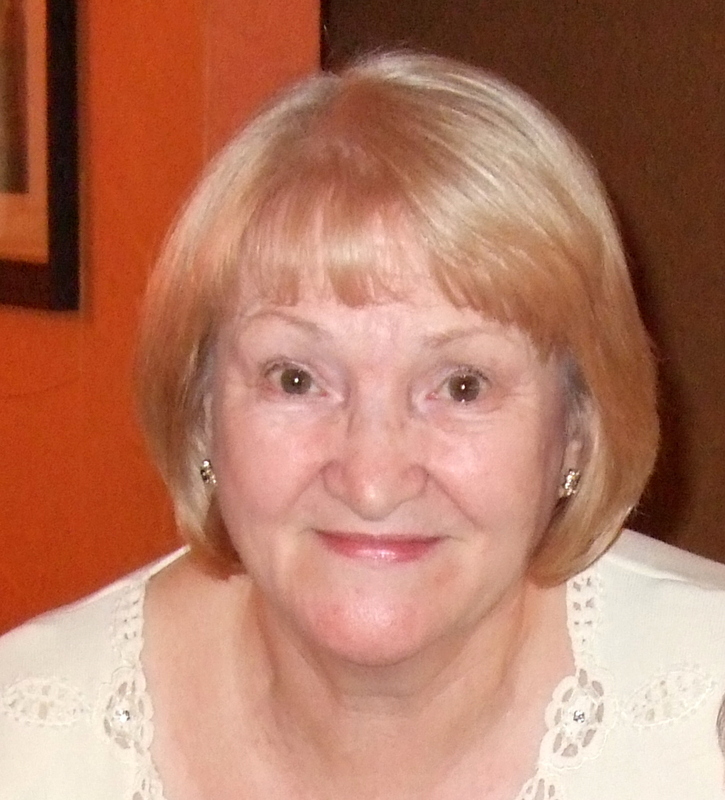 Thanks for stopping by my blog, Carole, it’s lovely to meet other writers. Yes, I enjoy seeing other authors on here; writing is such a lonely occupation through necessity. It’s good to see so many of us all beavering away. Your botanical photography is breath-takingly beautiful. I love it and would be very hard pressed to choose a favourite. Do keep taking these magnificent pictures and I’m reblogging so others can see how lovely they are. Sorry, I couldn’t find a reblog button on your botanical photographs. Yes, I have perused your blogs and find some of the images and poems you portray there very captivating. No problem. I consider myself to be an amateur too and I enjoy seeing how well other unknown writers progress. Every professional writer was once an amateur like us. Since I am only an amateur writer and that requires a great deal of time, I can only imagine the effort you have put into becoming a published author. Congratulations. thank you for reading my POETRY I was appreciate people’s time and attention. Please don’t be offended, I was just pointing out that I’m not the best person to judge if your blog will attract high traffic. There is plenty of professional advice here on help and from other bloggers. Keep in mind though that you should always show you’ve read something about the blogger before commenting on their posts. Telling me you’ve read all my books when I’ve only published one is not an honest approach. Don’t give up, just read more from the many helpful hints found on wordpress about blogging. Sorry I’m a bit late getting back to you Susan; I’ve been away enjoying our long awaited sunshine. Thanks for your kind words and I do intend to keep on creating. I couldn’t find bourneworks.com through google. I’d love to see your website. Thanks for visiting and following ourherstory.net! You may also enjoy bourneworks.com, where I share, as you do here, verbal and visual artworks. I’m happy to discover your blog — love the colors in your art pieces and am moved by your words. Keep on creating!